"Quillen Shinn, Universalist circuit rider" in the Fall 2007 UU WORLD, you found it! about Universalism and the Universalist Church in the south from the 1700s to the 1900s. One of the big points here is also Father D.B. Clayton, a native of South Carolina, who preached throughout the south - from South Carolina to Florida to Tennessee to Mississippi (he traveled in Texas, but I don't think he preached there). After his death (101 years ago), he had 4 congregations or churches named for him, one in Mississippi, one in Florida, one in North Carolina, and one still remaining in Newberry, South Carolina. He died at age 79, as he was getting ready for church, leaving Columbia SC for Greenville NC -275 miles away. For the past two years, Clayton"s autobiography has been listed as one of the top 10 searched for biographies on the used book selling site, bookfinder. I dont always post everything I should - I havent posted a full story about the well known musician named after Rev. Clayton, or why I now feel that there is no "No Hell" cemetery in Charleston SC (yes, I think Ashley Cooper was wrong). I admit that when I dunno, I ask folks - like Linda F, Carol S, and Peggy R (I didn't ask if they wanted their full names mentioned yet ). Thank yall so much. If you got a question, ask away - researching can be fun. For me this whole blog is fun. There is a great wonderful story in southern Universalist history ---and while this isn't the blog to find out more there is a great wonderful future for southern Universalists (or even southern Unitarian Universalists) as well ! Put me in your RSS feeds, and let's enjoy! When I first saw that Guntersville Alabama had three (count them 3) Universalist Preachers in the 1880s, I was flabbergasted. What a hotbed of Universalism, I thought. - not that easy to find information on another (also named Spencer Chambers! and apparently a nephew). And impossible to find information on the third - a "Thomas K. Roe". The other day while spending time recovering from whatever illness I had; I looked at the census for the entire county of Marshall, Alabama - for the 1870-1900 period - to discover NO Thomas K. Roe in the entire county. Hmm. A shy person who didnt want his name on the census? Now, "Roe" is a good fine name -- and many folks in the late 1800s changed their spelling to "Rowe", also a good fine name... No Thomas K. Rowe in the county either. Indeed there is only one Thomas Roe who seems to fit by reason of age - a Thomas W. Roe... This Roe is related by in-law-ship to the Chambers. Makes his a suspect - but not proof of course. Oh, this family of Roes originated from SC - and ties the Orangeburg and the Chester Roes together neatly -- and seems not to be any kin to the eastern NC Roes/Rowes. I should mention that while I havent connected them exactly - the Coleman's of Feasterville do appear to be connected to the Roe/Rowe's of eastern NC. There is a new book in the Arcadia Publishing Company's Postcard History Series entitled LAURENS COUNTY, (2007), compiled by the Laurens County Museum Association. On page 112 is a picture of the Universalist Church that was in "downtown" Mountville. They used the postcard that is at the South Carolinia Library in Columbia. Three things come to me as I look at the photo - the minor one is the ethics of scanning and sharing it - It's from an out of copyright postcard -fair game now? or should I wait till the book is out of print? I wonder this, because I'd love to share this picture. The Church and Church building no longer exist. For a small rural church, the church is wonderfully built. it's not the plain style favored by Woodington (NC), Philadlphia (Miss), Feasterville (SC), or Saluda-Chappels (SC) congregations. Considering the size of the congregation - it is fancy. Yes, it's a small family church - The cemetery - correctly called the Universalist Cemetery in the last burial (about 15 years back); is generally known to genealogist and cemetery surveys as the Simmons Cometary. The Church is actually one of the last of the Teague family Universalist Churches. The Teagues were active in southern Universalist history from at least the 1830s to 1930s. From what I recall the name of the Church was "Church of the Eternal Hope". It says here that the Church was built in 1910 using materials donated from churches in Saluda and Chappels. I dont think that is right, as a building was there 10 years previous - but it could have been remodeled. Since there was only One Universalist Church inbetween Saluda and Chappels - I suspect there is some confusion there. In the 30s-50s, demographics begain to change and rural towns begain to shrink as folks left the farms (and farming communities). As far as I know - no Universalist preacher regularly preached in SC since the early 1930s. I've been doing some work on semi-southern Universalist history. 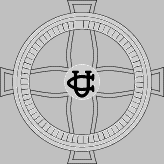 but today and continuing I'm going to list some of the Universalist bookince the merger. s and booklets I have. A SERIES OF LECTURE SEMRONS; Hosea Ballou; A.Tompkins; 1848; 3rd edition revised by the author. as titled. A CLOUD OF WITNESSES; J. W. Hanson; The Star and The Convent" 1880 - quotes from non-Universalists attesting to universalim; an admitted updating of the author's 25 year old WITNESSES TO THE TRUTH.